While researching her thesis senior year, Kelly Hughes, ’09, got her hands on some serious money. 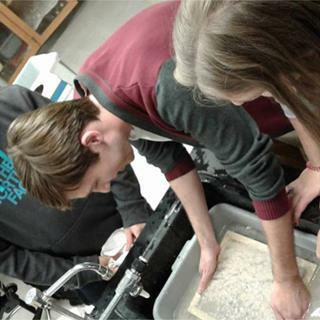 Her campus job as a collections assistant for the Lora Robins Gallery of Design from Nature gave her the chance to spend the fall semester organizing and studying gold and bronze coins, some dating back almost 1500 years. 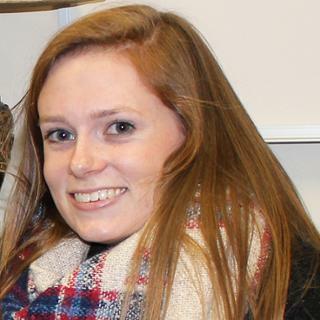 Hughes, who is an art history and classical civilization double major, has been interested in ancient history since her first year at Richmond. 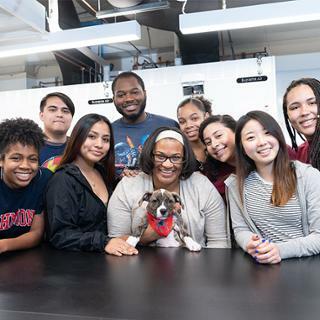 After taking a couple of courses in the classics department, she felt confident declaring a major in classical civilization and planned to minor in art history. During her junior year, while working as a museum attendant at the Lora Robins Gallery of Design from Nature, Hughes heard about the collections assistant position, a job that would allow her to develop her own project and work with artifacts from the museum’s permanent collection. When she interviewed for the job, Hughes was already in the process of narrowing down her classical studies thesis topic, which was focused generally on Byzantine art. She was intrigued to find out that the museum had a hoard of coins from two private donors in its permanent collection. Some of the coins were from the Byzantine Era. She landed the job and began working with the coins, both to develop her thesis and possibly an exhibit. Hughes’ research required her to examine the coins in the collection, along with other visual sources, to determine how emperors who ruled the Early Byzantine Empire from 491-527 adopted pagan motifs and transformed them into Christian motifs in imperial art. “It was during these years that the first significant changes are evident in the motifs, and the beginning of the new Byzantine style becomes apparent,” she said. The intent of Hughes’ investigation was the see which motifs were appropriated for Christianity, how the motifs shown on the coins were altered from pagan to Christian ones and the reason those motifs were selected from pagan imagery to be used in the Christian context. She applied for a School of Arts & Sciences undergraduate research grant, which she used for travel to the Numismatic Society in New York to talk to the curator of Byzantine coins. 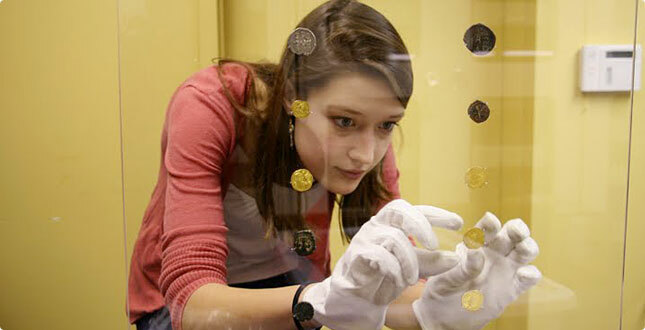 After organizing the coins for storage and cataloguing them into a database system, Hughes selected 25 coins to be put into an exhibit that related to her thesis. The exhibit, “Victories, Orbs & Angels: Byzantine Coins from the Collection,” curated by Hughes, is on display at the Lora Robins Gallery of Design from Nature and runs through November 15, 2009. Hughes recently gave a lecture, "Appropriation of Pagan Roman Motifs in Christian Byzantine Coinage,” to an audience at the Lora Robins Gallery and unveiled the exhibit for its 10-month run. She will continue to work at the museum, now as a collections curator, until she graduates in May. Until then, she has another thesis to write, this time for art history. Hughes says she will use much of the same research but this time will look at the topic from an art historical perspective. When she graduates, Hughes plans on going to Greece or Turkey to participate in an archaeological dig.